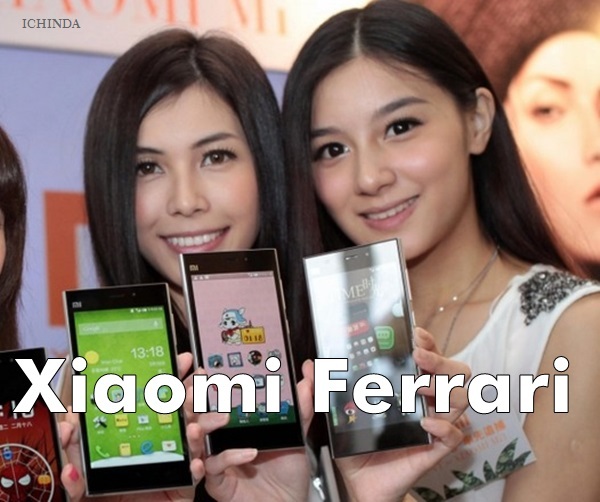 Now every one can own a Ferrari in affordable price, Chines smartphone market, Xiaomi made it possible while making all new Xiaomi Ferrari, budget 4G smartphone. According to latest leaks, Xiaomi Ferrari featuring 64-Bit Snapdragon 615 processor, 13-MP+5-MP, and 3600mAh battery coming buy Sept. to rock the budget phone market priced Under Rs 10,000. It will counter Micromax Yu Yureka, Asus ZenFone 2 and Lenovo K3 Note. According to leaks, upcoming Xiaomi Ferrari will support Dual-SIM(GSM+GSM), 4GLTE, NFC, Wi-fI, Bluetooth come with a bigger 5-inch Full HD 2D glass display with resolution(1920×1080) and gorilla glass 4 protection and full GFF lamination will be powered by a powerful 64-bit Snapdragon 615, 1.6GHz octa-core processor with 2GB RAM, 16GB ROM and 64GB MicroSD card slot will run on Android 5.0 Lollipop OS along with MIUI 6.0 on top. Xiaomi Ferrari will sport a powerful 13-MP rear camera with f/2.2 aperture and dual-LED flash and Sony CMOS sensors(Sony IMX214 with zero shutter lag) perfect for low light shooting and 5-MP rear camera for video calling and selfies will powered by a powerful 36,00mAh battery with sophisticated power management technoloy. Android 5.0 Lollipop OS along with MIUI 6.0 on top. At last few honest word, Xiaomi Ferrari is coming to give sleepless nights to it’s rivals. What you think? Please be open to give your view. You can place order through flipkart and choose COD option.